The hip-joint belongs to the ball and socket variety with large articulating surfaces. It is surrounded by strong muscles, capsules and ligaments. The depth and the rim of the acetabulum grip firmly over the head of femur. Strong force is needed to produce dislocation of this stable joint. Posterior dislocation: This is the commonest type of dislocation. This is mainly the result of a road traffic accident. The violence is directed along the long axis of the femur towards the hip-joint, while it is in a flexed and adducted position. The injury is commonly known as dash board dislocation. Simple dislocation: In half the cases, dislocation is a simple one and is not associated with any other injury. In the remaining cases there is associated fracture along with dislocation of the hip-joint. Fracture of the posterior rim of acetabulum along with dislocation: The posterior rim of the acetabulum may be broken by the impact of the head of femur. The fractured chip can be a variable size. Fracture of the head of femur: Part of the head of the femur is sliced by the edge of the acetabulum while the main segment is dislocated posteriorly. Clinical examination: The leg looks shorter, flexed at the hip and is internally rotated. Movements are completely restricted and painful. Undue prominence of the greater trochanter can be felt on palpation of the affected side. X-ray examination: Simple A.P. view will show the head of the femur displaced above the normal margin of the acetabulum. Oblique view confirms the posterior displacement. Any associated fracture must be also looked for. The size and displacement of the acetabular fracture should be ascertained when this is present. This is an emergency condition. Even a few hours of delay in reducing the dislocation will enhance the chance of avascular necrosis of the head of femur. Posterior dislocation may produce lesion of the sciatic nerve by direct pressure of the head of femur. Immediate management is essential. Reduction: Reduction is done under general anaesthesia and use of muscle relaxants makes the procedure easy. Technique: The technique is simple and in most cases success is achieved easily. The patient is made to lie on the floor in a supine position. The surgeon applies traction vertically upward by grasping the leg just below the knee. The hip and knee-joints are maintained in a position of 90⁰ flexion. The assistant steadies the pelvis by applying pressure on both the iliac crests. Slight abduction of the hip may be needed in some cases. The hip-joint is reduced and this can be felt by the surgeon’s hand like a snapping noise. The leg is then extended to its normal position. X-ray is taken to check the post-reduction stage. Immobilization by traction: Skin or skeletal traction is maintained on the affected limb for a period of 6 weeks. Some surgeons prefer to apply hip spica instead of traction. Weight bearing: Weight bearing is allowed after 6 weeks. In cases where reduction has been displayed it is wise not to allow weight bearing for a period of 12 weeks. Observation: X-rays at intervals should be taken to observe any evidence of avascular necrosis of the head of femur. Regular check-ups are usually done for a period of 2 years. Posterior acetabular fracture: There may be either a small or large posterior acetabular segment as a result of the fracture. Small fracture of the posterior rim: In most cases the fracture of the posterior rim of acetabular is small. Once the dislocation is reduced the fracture retains its normal position. Large fragment segment of the posterior rim: In cases of large segmental fracture of the posterior rim there can be interference by this bony piece during the process of reduction. This may require open reduction and internal fixation of the fracture. Fracture of the femoral head: The head of the femur may be sliced by the posterior margin of the acetabulum. In most cases the fracture segment comes into apposition once the dislocation is reduced. Failure to reduce the fracture will require excision of the segment or replacement of the head by metallic prosthesis. Injury to sciatic nerve: Sciatic nerve lesion may be produced by pressure or by stretching. Paralysis or weakness develops along the course of the sciatic nerve distribution. Recovery usually follows reduction. Only on rare occasions exploration of the nerve is required to remove the factors producing the pressure. Avascular necrosis: This is the result of interference with the blood supply of the head of femur. Delay in instituting the treatment leads to this serious condition. Once the avascular necrosis is established the x-ray appearance shows increase in the density of the head. The condition appears mostly after a period of 6 weeks. In expected cases of avascular necrosis, the patient should be advised to use non-weight bearing calipre for twelve weeks. The person is reviewed at regular intervals for a period of 2 years. Frequent x-rays are taken for assessing the condition of the head. Evidence of non-regression of necrosis should be treated by continuance of non-weight bearing. In the advanced stage where osteoarthritis has been well established due to avascular necrosis, one may have to resort to excision of the head and application of prosthesis. There are hip prosthesis implants which are used in the application of prosthesis. Unreduced dislocation: Management of old unreduced dislocation is a serious problem. On rare occasions the dislocation can be reduced by closed technique even after two weeks. Avascular necrosis is almost an inevitable consequence even when managed after a period of 2 weeks. 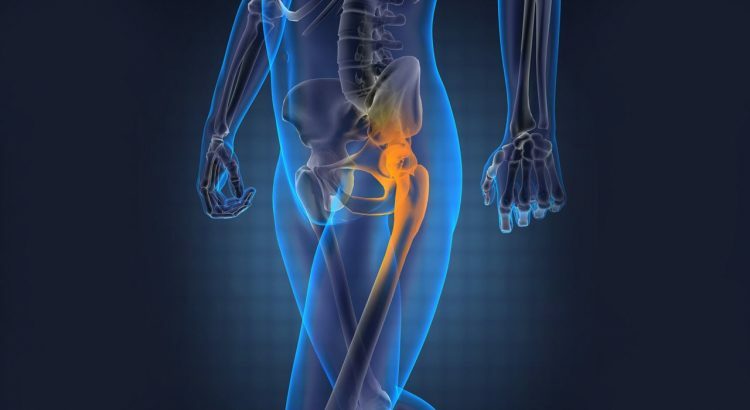 In long-standing cases of unreduced dislocation, mere attempt to reduce either by operative or non-operative means will fail to produce a functioning hip-joint. Operative measures in the form of arthrodesis, subtrochanteric osteotomy or replacement of the head by prosthesis remain the other alternatives. Operative measures used by surgeons require various medical implants and Orthopedic surgical tools, which can be obtained by the orthopaedic implant manufacturers in india.